Posted on Saturday, June 25th, 2011 at 2:26pm. Well it’s that time of year again, and RE/MAX has released their Recreational Property Report 2011. Studying 46 markets across Canada has shown that recovering stock portfolios and large equity gains in major centres have stirred up real estate markets from coast to coast. Larger selections, greater affordability and pent up demand are creating a strong recreation property market this year, well ahead of the national average. Buyers who held off during the recession are now back in action and have been rewarded with better values and choices. 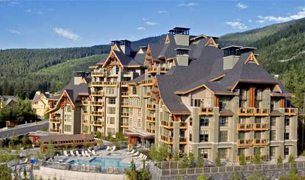 In Whistler, sales in the first quarter of 2011, are up 58%. While single family homes sales are softening, condo sales are strong and townhouses are on a serious upswing. Demand is at its highest for affordable product priced between $300,000 to $700,000. In B.C. 's interior, properties are identified to be at or near the bottom and savvy purchasers who were previously scooping up product south of the border have turned their attention back home. The strengthening oil and gas sector have brought Albertans back into the swing of things too. Reportedly, improvements to Alberta’s economy have already had an effect home sales in the southern Okanagan and it’s anticipated to continue heading into the summer market. Affordability has significantly improved with ski condos starting at $75,000 and lakefront properties are currently priced from $230,000 to $2.8 million. 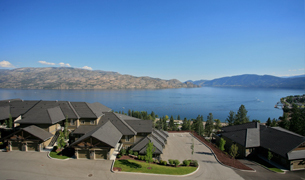 Lakefront properties on Okanagan and Skaha have sold for as low as $800,000 and similar properties on Osoyoos start at $700,000. On Vancouver Island, the recreational property market is also off to a solid start in this first quarter. 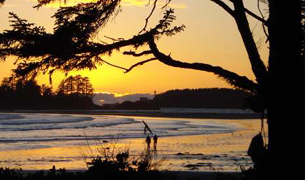 In Tofino/Ucluelet buyers are taking advantage of higher inventory levels. Although affordability is remains a concern, softer property values and continued lower interest rates have had a significant impact. Entry level pricing on a waterfront (townhouse) condo on a small lot are starting at $279,000 while ocean front detached homes are starting from $825,000 in Tofino and $525,000 in Ucleulet. Salt Spring Island homeowners are trading up, and purchasers from Vancouver, Victoria and Alberta can enter the market. Listing prices how hover around $565,000 compared to $633,000 a year ago. The report has also found a change in the typical recreation property. With fewer seasonal cottages available for sale and as the desire for year round product growing, this newly defined recreational property is driving renovations and new construction. Feel free to view the entire RE/MAX Recreational Property Report. Enjoy!